Who made it through on America’s Got Talent Live Shows Round 2? No results yet but the successful acts will be revealed tonight, Wednesday, August 19, 2015. Twelve acts have performed Live at the Radio City Music Hall last night. It’s time to find out the seven acts America voted to move on to the next round of America’s Got Talent competition. The acts facing the elimination tonight are: acoustic rock band 3 Shades of Blue, Animation Crew, opera singer Arielle Baril, The CraigLewis Band, flyboarder Damone Rippy, comedic magician Derek Hughes, DM Nation, visual animated dance act Freckled Sky, singing puppet Ira Fennelbloom, stand up comedian Myq Kaplan, gospel singer Sharon Irving and ladder balancer Uzeyer Novruzov. Keep locked on this page. Results and performance videos will be added below once uploaded online. 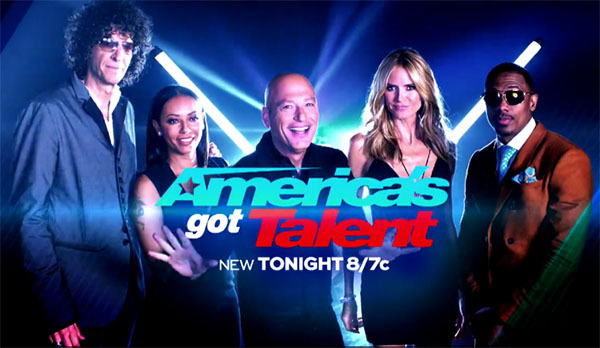 America’s Got Talent Live Results Shows airs tonight on NBC at 8/7c. What can you say about the results tonight? Share your thoughts on the comment section. Next articleKuya of Pinoy Big Brother to reveal himself soon!